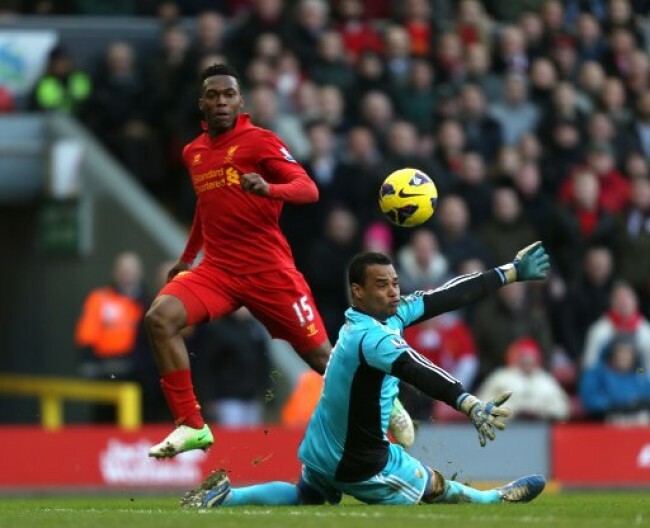 Liverpool brought to an end their five-game winless run with a thumping 5-0 thrashing of Swansea on Sunday afternoon. Penalty goals from Steven Gerrard and Daniel Sturridge book-ended a stroll in the park for the home side, with new-signing Philippe Coutinho getting on the scoresheet at the start of the second period and goals from Jose Enrique and Luis Suarez completing the mauling. 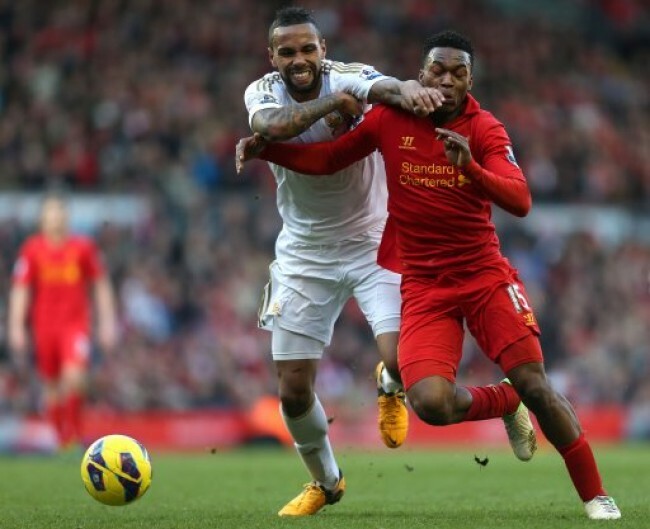 To be fair to Michael Laudrup, the Swans were without the likes of Michu, Ashley Williams, Angel Rangel, Wayne Routledge and Nathan Dyer, who were all on the subs bench ahead of next weekend’s Captial One Cup final. 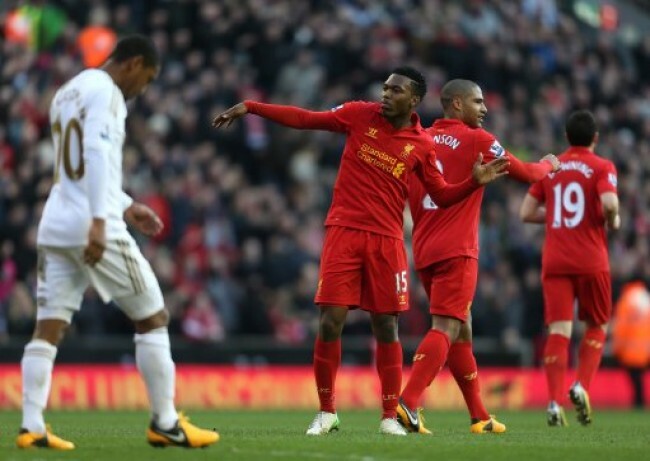 However, despite Swansea’s weakend first 11, Liverpool impressed with a vibrant and flowing display. 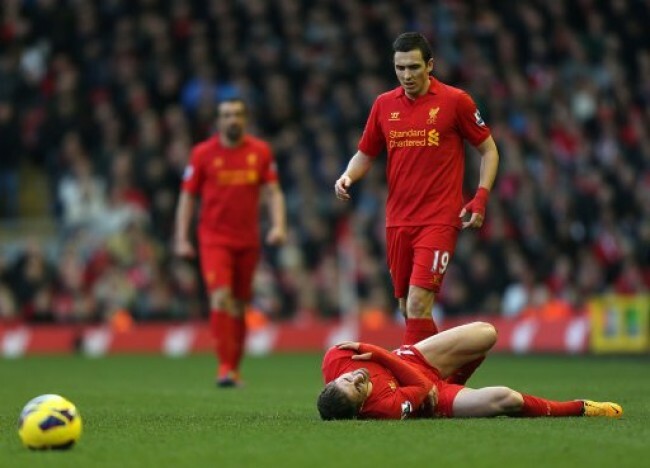 The only negative ont he day for Brendan Rodgers was the injury to Fabio Borini, which puts the Italian out of action for the rest of the season. Laudrup, on the other hand, will be hoping the mauling doesn’t dent the Swans’ confidence ahead of their forthcoming Wembley appearance. 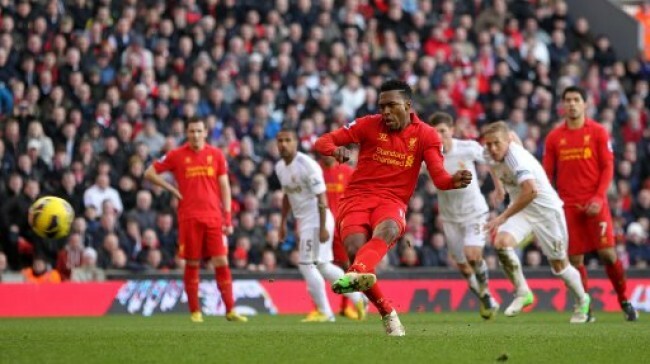 Yeah it was a pretty weakened Swansea side, but fair do’s to Liverpool. They attacked all game long, and as Laudrup said in the post match interview it could have been 10-0. Nice to see Liverpool win at last, just to get my wife (the red) off my back.